Bishop Charles’ motto caritas congaudet veritati (love delights in the truth) is taken from the First Letter of St Paul to the Corinthians, chapter 13. Saint Paul’s insight can be considered the kernel of Blessed Antonio Rosmini’s (founder of the Institute of Charity to which Bishop Charles belongs as an Ascribed member) entire contribution to the dialogue between faith and reason. 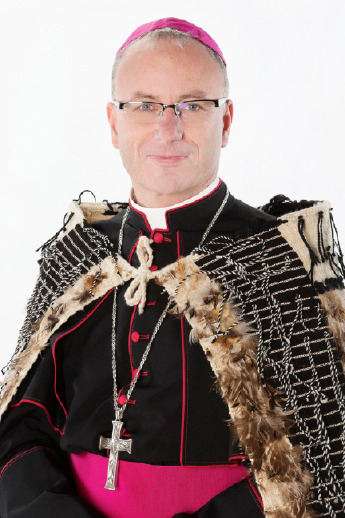 It also stands at the heart of the ‘new evangelization’ in which all the baptized of Aotearoa-New Zealand are called to participate as we further the mission of the universal Church in our own secular society. How do we move from behind our desks into our streets with the sacred oils of God’s workshop? Fake hope tweets and the true hope of Christ’s birth…. Bishop Charles’ Christmas homily: fake hope tweets and the true hope of Christ’s birth…. Our faith is an embrace of not escape from time.